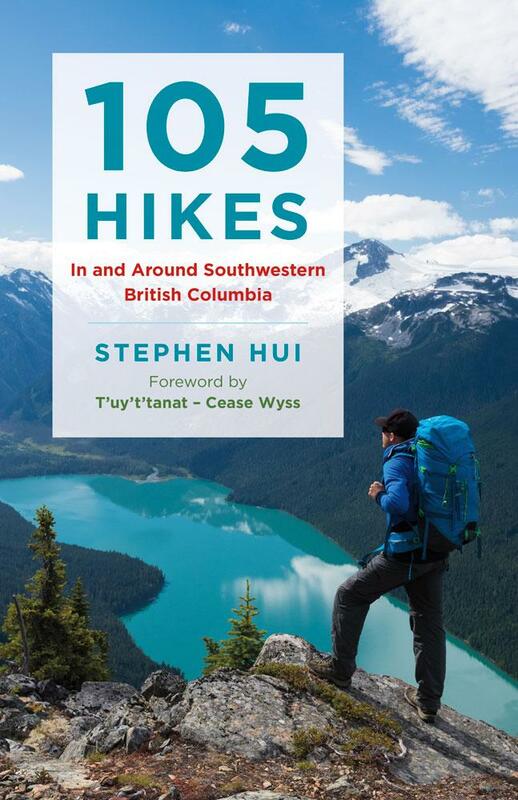 On May 26, Greystone Books will publish 105 Hikes In and Around Southwestern British Columbia. A few days later, we’ll mark the occasion with an outdoor book launch in the territories of the Musqueam, Squamish, and Tsleil-Waututh First Nations. Time: 5 p.m. to 9:30 p.m. Please let us know if you plan to come by RSVPing on Facebook. I’ll be on hand to sign books. Only a limited number will be available for purchase on site, so getting your copy in advance is recommended. If you’d like to partake in the potluck picnic, please bring some food or drinks to share. The site is a 10-minute walk from Nanaimo Station on SkyTrain’s Expo Line. TransLink Bus 7 (Dunbar/Nanaimo Station) will get you even closer (Nanaimo Street at East 17th Avenue). For cyclists, the B.C. Parkway and Central Valley Greenway offer easy access.